Hand Crank Height Adjustment Range of 27" - 39"
The Clinton Industries All-Laminate Work Activity Table with Hand Crank Height Adjustment is a robust and versatile medical device designed to provide patients a specific work area for them to accomplish the needed exercises and physical therapy tasks. Hassle-free Adjustability and Optimal Durability. 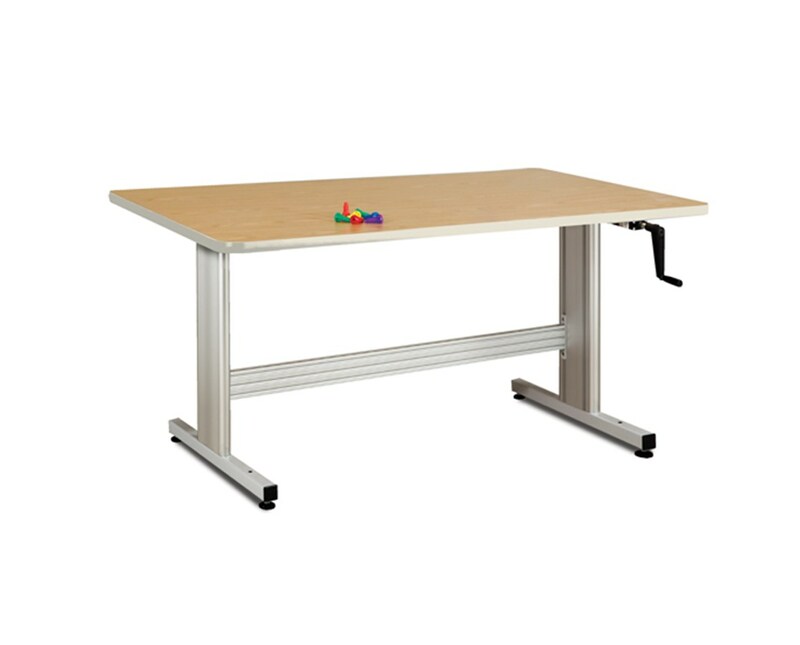 Constructed with an all-laminate top, the Work Activity Table with Hand Crank Height Adjustment is easy-to-clean and has a T-moulding with either a Tan (if Maple is chosen) or black (if Gray is chosen) color. The table is mounted on an all-aluminum, powder-coated base for ensured strength and sturdiness. 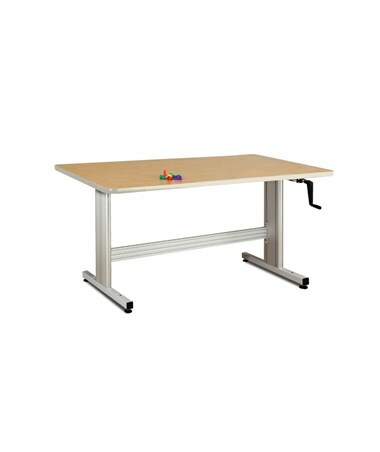 With its fold-away handle, the table's height can easily be adjusted to fit the patient's requirement.